While most of us have just toyed with the thought of starting up a nanobrewery, others have taken the plunge. To find out who these people are and what makes them do what they do, Tom and I embarked on a series of interviews with regional nanobreweries to get their stories. 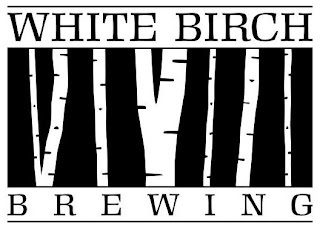 As a follow-up to the first half of our Q-n-A with Bill Herlicka, founder of White Birch Brewing Co., this post presents the conclusion of our White Birch interview. Bill started brewery production at White Birch in June 2009 and self-distributes to “enthusiast” beer stores around New Hampshire (and hopefully Massachusetts soon). Lug Wrench (LW): What are your plans for growing White Birch Brewing Co. in the future? Bill (BH): My plans to grow White Birch are to focus on a slow sustained growth. I make a very different beer than most breweries and I like the idea of finding my audience in a managable way. I love having the flexibility to make a wide range of styles and don't want to give that up by jumping into an expensive 10 or 15 barrel system where I can only afford a few fermenters. As people enjoy my beer and want to see it in more places I'll keep doing my best to add new stores and new markets while working to keep the stores I have today stocked with our flagship, seasonal and new beers. LW: What are the biggest hurdles you see for White Birch? BH: The biggest hurdles I see facing White Birch Brewing is maintaining quality and growth. I started brewing in a 2500 square foot warehouse space and I’m quickly filling it to the roof with fermenters, oak barrels and supplies to keep the process going. Growth is great and necessary, but moving to larger space means a lot of big expenses and attention which will challenge me while trying to keep the day to day operations going. BH: Ignore the term nanobrewery. Decide on your vision of brewing and purse that. There are far easier ways to earn a living that a brewery. You have to want to do this and know it’s a lot of hard work. Don’t try to create someone else’s vision of a brewery. Labels, assumptions of how “normal” breweries start and even what to start with don’t matter. Do what you love and do it with passion. You’ll find your audience. LW: What’s the most interesting thing that has happened to you since you started the brewery? BH: I’d have to say a big one for me was doing the BeerAdvocate Belgian Beer fest in Boston and having people excited to meet me as the new brewer. What I really find rewarding though is having the flexibility to make anything I want and then getting to share that with enthusiasts and hear their thoughts. There’s nothing like meeting someone new at a tasting and seeing that smile on their face as they try and enjoy a new beer. LW: Is there anything else you think readers might enjoy learning about you or White Birch? BH: I brew beers I enjoy. I don’t worry about style guidelines in terms of trying to meet a style. When I make something with a style in mind, I’m making my interpretation of that style, not a clone of a ‘best of style’ or worrying about hitting style parameters. Other beers I make are because I enjoy their taste and there is no style intended.. I’m a big fan of the “specialty other” category if I have to pick one to define my beers. Oh, and please let me know what you think of what I’m making. I’m always happy to trade emails or chat at a tasting. Part 1 of our interview with Bill Herlicka can be found here.